Rosalie O’Dell Mainous, Ph.D., APRN, NNP-BC, has been named dean of Wright State University-Miami Valley College of Nursing and Health. Rosalie O’Dell Mainous, Ph.D., APRN, NNP-BC, associate dean for graduate programs and research at the University of Louisville, has been named dean of Wright State University-Miami Valley College of Nursing and Health, effective August 15. Mainous will replace Patricia Martin, Ph.D., who is retiring in August after 11 years as dean. Mainous became an instructor at the University of Louisville’s School of Nursing in 1987, an associate professor in 1993 and was named coordinator of the Neonatal Nurse Practitioner Program in 1998. Mainous was appointed interim associate dean for Graduate Academic Affairs in 2006. She later became the associate dean for Graduate Programs and, in 2009, the associate dean for Graduate Programs and Research. Mainous worked at University of Louisville Hospital as an RN in the Neonatal Intensive Care Unit and at Kosair Children’s Hospital as a neonatal nurse practitioner. She has been in the academic environment for over 25 years and has been funded by the National Institutes of Health. 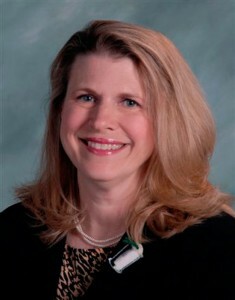 Mainous was appointed a Robert Wood Johnson Foundation executive nurse fellow in 2009 and is in the Leadership America Class 2011. Mainous obtained her associate’s degree in nursing from Eastern Kentucky University, her bachelor’s from the University of Louisville, her master’s from Indiana University-Purdue University at Indianapolis and her Ph.D. from the University of Kentucky. She did a neonatal nurse practitioner post-masters option at the University of Louisville.